Adobe Photoshop is the high end professional system, but available in marginally simpler and less feature-loaded versions, including a free trial version of Photoshop Elements. 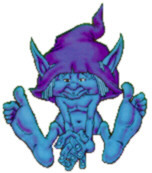 The GIMP is open-source software that runs on Windows, Mac OS X and Linux; there are free downloadable versions for all of these operating systems at www.gimp.org. It is somewhat less complex than Photoshop. PaintShop Pro runs on Windows. There is a free trial download. I haven't used it recently but it used to be simpler than Photoshop. Use whichever of these or others that you like. We won't be picky about details of what gets turned in, but do your best to submit what's asked for. The text refers to Photoshop in regular black text. Notes for GIMP are in red. There will undoubtedly be glitches; please let us know about any serious problems. Thanks. Important: Material on other web sites may be subject to copyright, and there are both legal and University restrictions on what you can do with copyrighted material, including images and sound. The law is evolving in this area and copyright holders can be very aggressive in asserting their rights (and sometimes more than their rights). You should be aware of the University's policy on intellectual property rights. 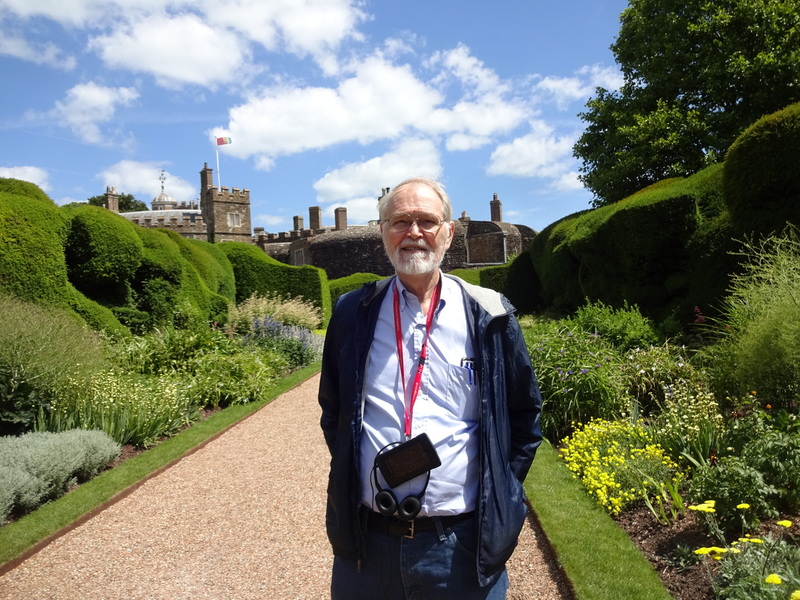 "If you want to use a copyrighted work, you should make a good faith effort to determine whether such use constitutes a 'fair use' under copyright law or seek permission of the copyright-holder. As a general matter, you are free to establish links to Web pages. But you are not generally free to copy or redistribute the work of others publicly -- even if you found it on the Internet -- without authorization. 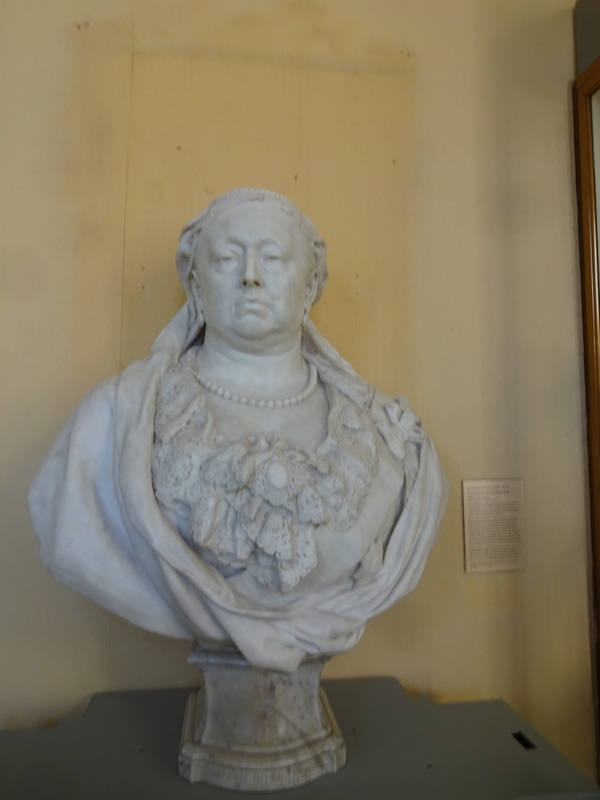 Attribution does not resolve the issue of whether the use is permitted under copyright law." Accordingly, you should be especially careful of images or sounds that might be of commercial value to their copyright owners. If a site has an explicit copyright notice, you should not copy anything from it. For purposes of this lab, and in creating other web pages, you should add a citation for each image or sound that you link to or copy; this is equivalent to citing sources of quotations in a paper. If there is any ambiguity about whether a sound or image is copyrighted, use a link, not a local copy. Of course if you use your own pictures, copyright is not an issue. In this lab, we will highlight instructions for what you have to submit in a yellow box like this one. The computer's screen is divided into a large number of tiny dots of color called pixels ("picture elements"). These dots are so small that, to the human eye, they appear to make a continuous picture, but if you zoom in on any computer graphic, you will eventually begin to see the blocks of solid color of which the image is composed. To give you an idea of their size, the dot of an "i" is often represented by a single pixel. A typical laptop screen displays at least 1024 pixels in the horizontal direction and 768 in the vertical, making almost 800,000 pixels. This figure is known as the resolution. A laptop screen or flat panel display shows a fixed number of pixels, so changing the resolution may show you fewer pixels without changing the image size or it may try to spread the image pixels over the screen pixels, which can cause fuzziness and distortion. Each pixel has its own color, typically represented by three values, one for red, one for green, and one for blue (RGB). These values control how much of that color appears in the pixel. Black would be all zeros, while white would have maximum values. Pure red would have just the red value raised to the maximum, while bluish-green might have the green and blue values set to half of the maximum, and the red value set to zero. A shade of gray has the same values for its red, green and blue components. All colors are represented by a combination of the three colors red, green, and blue. In the first case, each pixel requires 3 bytes of memory to store its color. In the second, 2 bytes are required and in the third, one byte suffices. But the third case involves more than twice as many pixels as the first. The number of colors a display uses is known as its color depth. Color depth is also used to describe digital images. Unlike your screen, which has a fixed pixel-to-color relationship, images you create can usually be of any size and color depth. Ideally, you could always work with as many colors as possible, making photo-realistic images. Often, however, images which "use" 16 million colors will look the same even when displayed in 256 colors, because they're not actually using more than 256 of the 16 million available colors. Different image processing programs use different terms to describe color depth as well, like "true color" or "high color" that don't really say what they are. Since large pictures take up more disk space and load more slowly, you may want to experiment with your images and see how few colors you can get away with while preserving adequate image quality. There are other ways to make image files smaller. An image may originally be represented as a bitmap, which uses a small fixed number of bytes for each pixel. This preserves the image perfectly but takes much more space than is necessary. Since most images have large blocks of constant color, we can use that information to group pixels and store less information about them. If there are 100 blue pixels in a row, it's more efficient to remember "100 blues" than to remember "blue, blue, blue, ..., blue, blue". Taking advantage of pixel similarities to reduce the stored information is an example of compression. You will not need to worry about the specific techniques used to compress files. Instead, you can use two file formats which do this automatically. JPEG (*.jpg) files: JPEG compression is very popular on the Web because it can compress large images with millions of colors into relatively small files. You can even adjust the amount of compression used (opting to accept a little more distortion in exchange for a lot more compression). Unlike bitmaps, however, JPEG compression is lossy; that is, the process of compressing and then expanding loses some information. 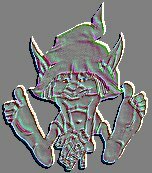 GIF (*.gif) files: GIF compression only works for images of 256 or fewer colors, but it preserves them perfectly: GIF compression is lossless. 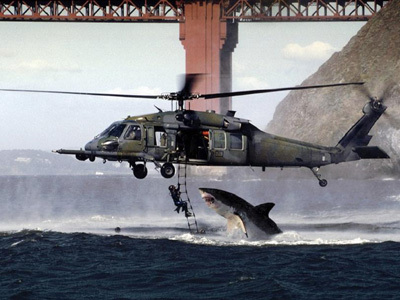 The GIF format also allows several neat tricks like transparency. If you make an image transparent (by indicating a specific background color when you save it), then when you put it on your web page, any pixel that has the background color will be transparent: it will instead display whatever value was behind it. Without this feature, every image you make would look rectangular. When you save an image as one of these types of files, use "Save As..." and choose GIF or JPG as the format. Be sure that you set the file format to JPG or GIF before you save the file. Do not use the .psd extension that is the default in Photoshop. There are many other image file formats. TIFF, the Tagged Image File Format, is often produced by cameras and by the Grab application in Mac OS X. TIFF may provide lossless compression, but generally TIFF files are compressed. Another common format is PNG (Portable Network Graphics), which combines features of GIF and JPG: it is lossless, but allows for many more colors. 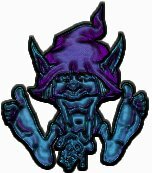 Many images on Wikipedia are PNG. GIF format works well for images with a restricted number of colors but not for photos with lots of colors. Perhaps surprisingly, JPG is good for photos but not so good for solid blocks of colors, since the compression process can introduce visible artifacts like ripples. To create and edit images, you must use an image editor like Photoshop or GIMP. Image editors have lots of menus with lots of sub-menus. They usually display one or more large canvases with a palette of tools. Choosing a paintbrush and dragging it onto the canvas works much like painting in real life. Choosing the paint bucket and clicking on an area will fill it with the current color. There are erasers and air brushes for retouching, features for resizing and reshaping and recoloring, and ways to add text as well. This lab is meant to encourage you to experiment with these options. Once you have drawn an image, you may wish to play with image filters. These can be found on the Filters menu in Photoshop and GIMP. These image filters (e.g., Sharpen, Emboss, etc.) will examine and possibly change each pixel in the image. The Sharpen filter, for example, looks for edges (places where the color changes dramatically) and enhances those. Many filters only work on images with 16 million colors (24-bit color). This is usually because they make subtle color changes to the image and need to use many different shades. Now it's time to experiment with some images. The pictures in this section illustrate Photoshop and GIMP; if you're using another program, read this for the general idea, then find the equivalent mechanisms in your program. To the left are a dozen or more tools; mouse over them to see what they do. On the right is a color selector. By clicking on the color you wish to use in the palette, you can cause it to be the foreground color. This is the color that will be used when you draw with the paintbrush. By right-clicking, you can adjust the background color, which is the color used for fills and some other changes. 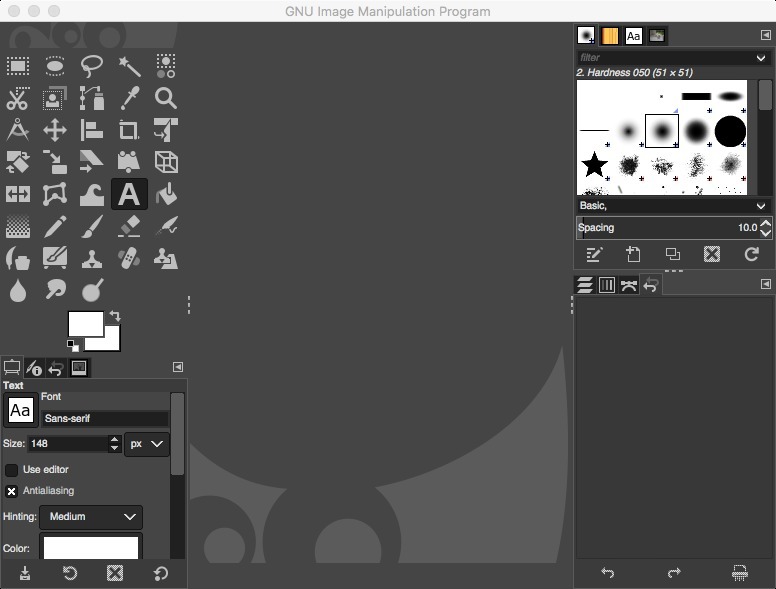 If you are using GIMP (we're using GIMP 2.10 as an example), the display will look like the one below, with a toolbox on the left and an image area in the middle. The two overlapping white rectangles near the middle of the left are for setting foreground and background colors; mouse over them to see. A large window should appear; this is your canvas. Using the different tools available, you can paint on it with the mouse. If you are unsure what a particular tool does, hold the mouse over its button. If you make mistakes, just choose "Undo" from the Edit menu to undo your last action. Select a paint brush, choose a color, and spend a few minutes creating a picture for submission. Try several of the tools available. Don't forget the Help menu if you get lost. Unlike resizing, cropping an image will make it smaller by cutting off the edges. Click on a selection tool (dotted-line box, lasso, or quick select). Click on a part of the image and drag to create a box. Select "Crop" from the Image menu (or use the crop tool). Everything outside that box should have been removed from your picture. Finally, you can change the picture back to its original size without enlarging the part you have drawn. 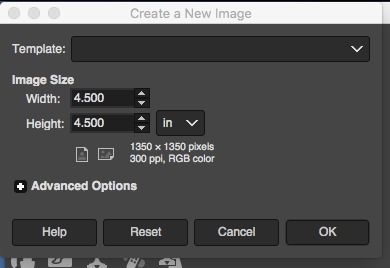 Choose Image / Canvas size and choose a new size. This should increase your drawing area. The new space is filled with the current background color. 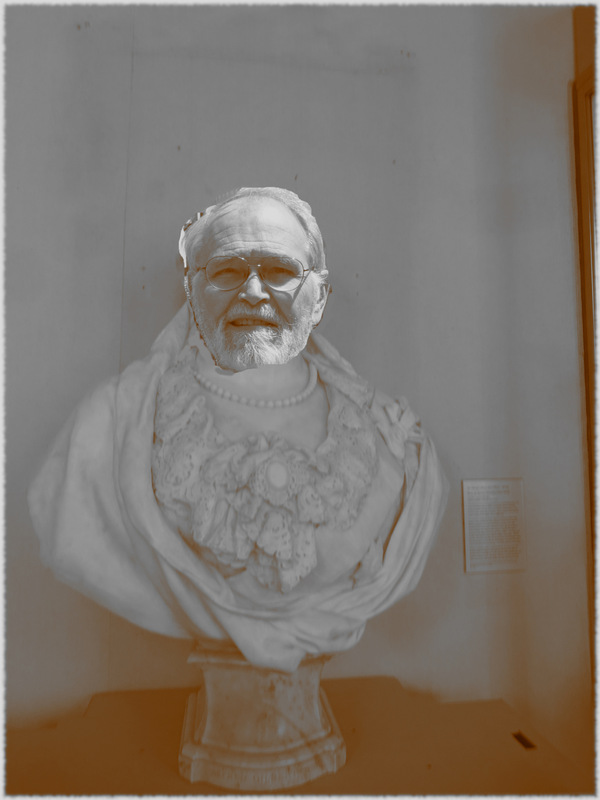 You can do this analogously in GIMP. You can shrink or enlarge the canvas by setting "canvas size" from the image menu. However the canvas size is not exactly the same as the image size. Sometimes you need to use "Layer to Image size" from the Layer menu to fill the new space with current background color. When you are ready to save your image, make sure that you set the file type appropriately; for most purposes, that type is JPG. Do not use the Photoshop default .psd. Choose File / Save As / JPEG (*JPG) or PNG. Be sure that the compression level listed is reasonable. In Photoshop, the compression is given as a number between 3 and 10; something in the middle is likely to be ok. Save as JPG, not PSD. 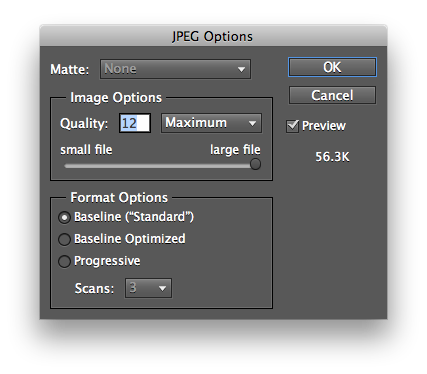 Here is the Photoshop dialog; you can select the compression factor as well. Here is the GIMP File / Save dialog box. 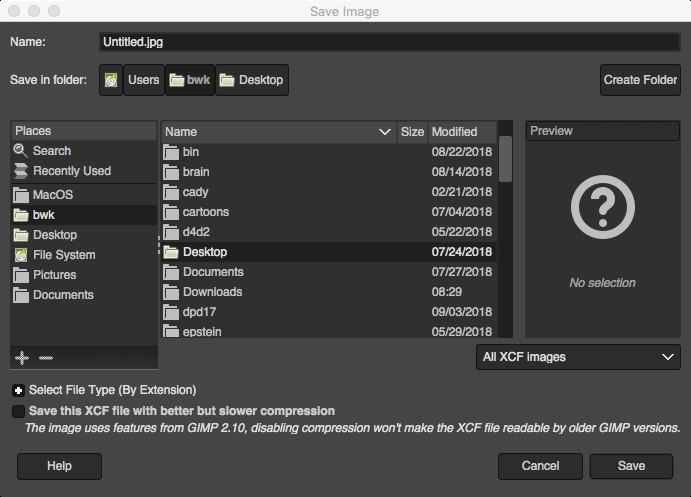 Save the file as .jpg or .png, not as .xcf. To best experience the image filters, you will open and edit a real photo image now. Download a picture from your web page or other source. 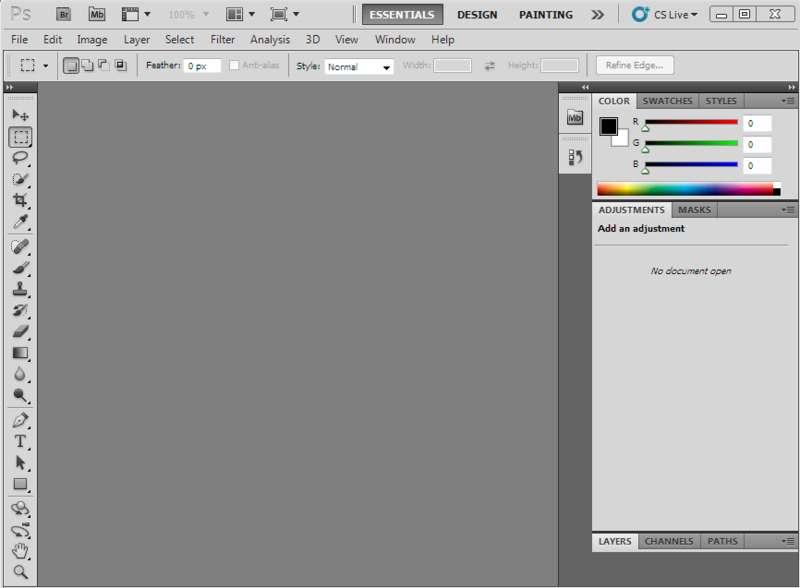 In your GIMP/Photoshop window, choose "Open" from the File menu. Locate the picture you just downloaded and open it. The image should show up in its own window within the main window. As before, adjust the Zoom Level to your preference. (If the control is not there, click on the magnifying glass to make it appear.) 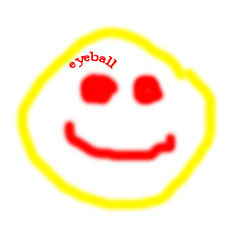 Notice that you can edit and resize this image in exactly the same way as you did with the other image you just created. Now we're ready to try the built-in image filters, which are on the Filter menu. 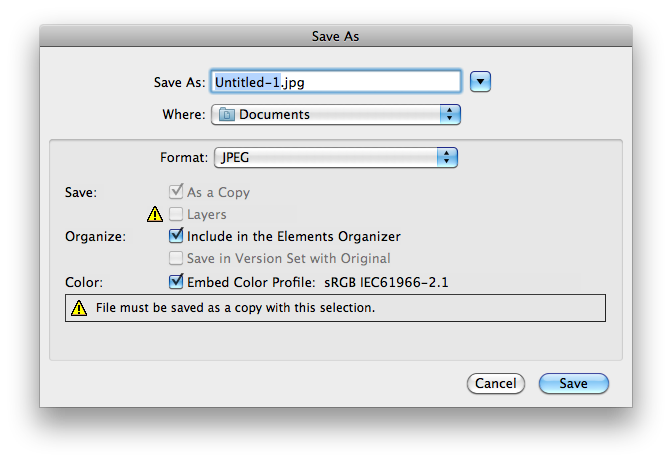 Try at least 3 of the filters and save the results as different files using the "Save As" option. You will be submitting these images at the end of the lab. If you're interested in how filters work, try creating your own. Select "Other / Custom" from the Filter menu. Play with the numbers in the matrix. When you find a combination that you like, save the image. 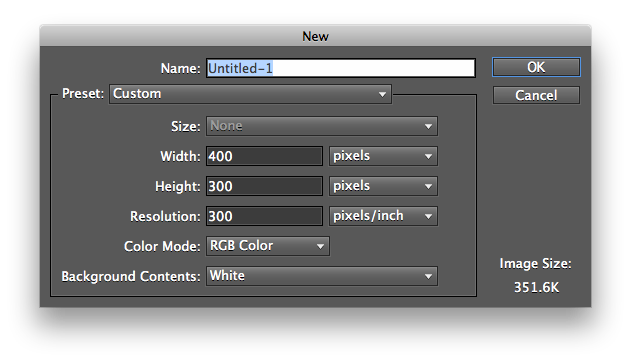 In GIMP, you can start with "Convolution Matrix ..." in "Generic" from the Filters menu. Ever wonder how the tabloids are able to get front-page photos of Elvis and the president shaking hands? It's called photo-retouching and one of its most entertaining applications is face-pasting. Using graphics tools, you can cut someone's head out of one picture and paste it onto to the body of someone else in another picture, or do other merging of picture components. Here's a rough example; I am sure you will not be amused, and can do a lot better. Editing isn't limited to faces; here is a faked image of someone about to have a very bad day. Find an interesting picture somewhere and paste pictures of yourself and/or your friends and/or someone or something noteworthy into the picture. Blend your picture in with the background as well as you can; we'll be looking for a good job. Save the original images and the final product for submission. Be sure to save often. You will probably invest a lot of effort in this, so don't let some random problem destroy your work. At the end of the lab, you will need to submit this image. Find a picture that has a person in a similar pose to the picture you will paste in. 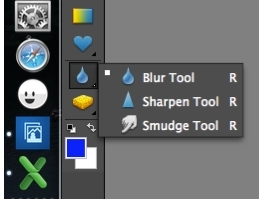 In Photoshop, right-click on the Blur tool and select Smudge to smudge the edges around your pasted-in image. In GIMP, it's the "Smudge tool". You can also use a dropper to pick up the right color and then use various brushes to fix up edges. Place all of your work online and accessible through a file called lab3.html in your public_html directory on cPanel. lab3.html must display the image you created in Part 2.
lab3.html must also display at least your original image and the 3 filtered versions, the original images you used for face pasting, and your face-pasted image. lab3.html should also tell us what image editor(s) you used and on what system(s); this information will help us with subsequent classes. Make sure everything works and is accessible; get a friend to play dumb and try it all. Upload lab3.html and your other files to the CS dropbox for Lab 3: https://dropbox.cs.princeton.edu/COS109_F2018/Lab3. Thanks.